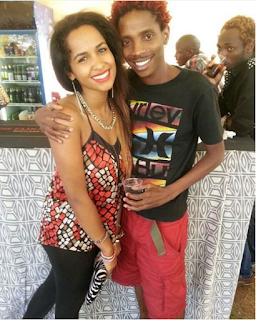 Eric Omondi and his Italian girl have been the talk of town since she came into the limelight a few months ago. The two seem to be perfect for each other and they are also planning on a show that is expected to take the country by storm. The new reality TV show called Adam and Eve will be coming to your TV screens soon and Eric decided to share a bit of a teaser and behind the scenes of the upcoming program.